A site of history's odds and ends, and lots of books. 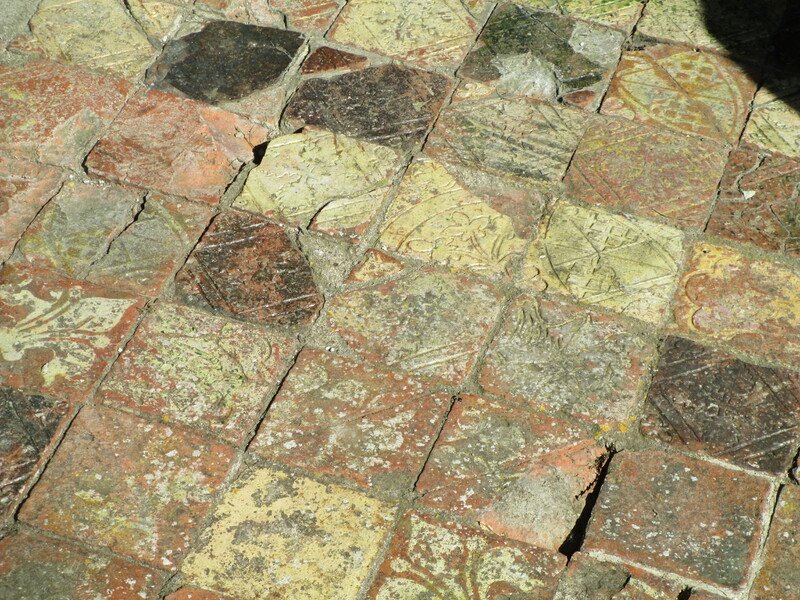 These are medieval tiles from Strata Florida Abbey in Wales. The abbey itself is absolutely beautiful, though there isn’t much left. It was not a casualty of the Dissolution of the Monasteries, which is the reason most of the abbeys in the UK are ruins. Strata Florida was a casualty of the repeated English incursions because it always strongly supported the Welsh Princes. The abbey is also where the important Welsh Chronicle Brut y tywysogion was written. It was a year by year account of the main events in Wales from AD682 to AD1282. It finished with the death of Llywelyn ap Gruffudd, known as the last true Prince of Wales. The full text of the chronicle can be found at https://archive.org/details/brutytywysogiono00cara. 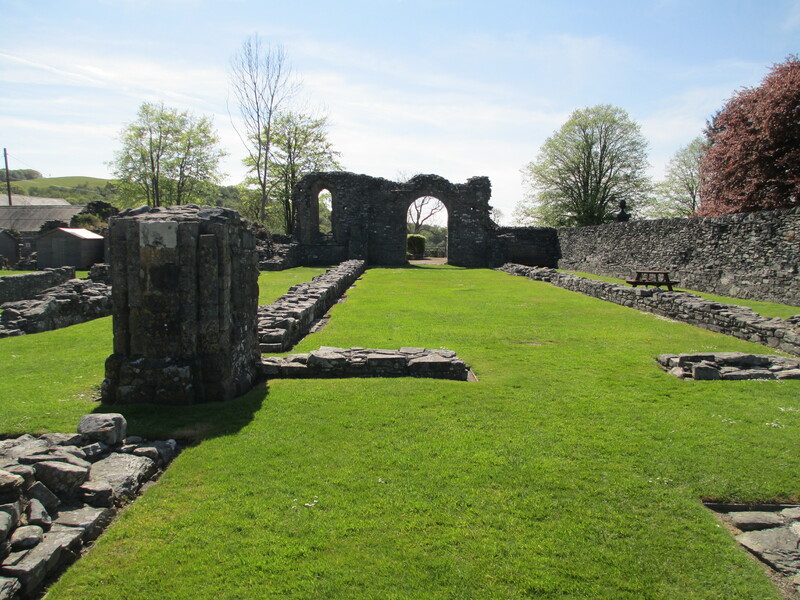 The abbey is also the burial place for some of the Welsh Princes of Deheubarth and their families. The tiles themselves are interesting just because they survived. Not many medieval tiles did. These particular ones date to the early 14th century. They were uncovered in excavations in the 1880s and the large section that is now in the south transept are made up of many of these fragments. 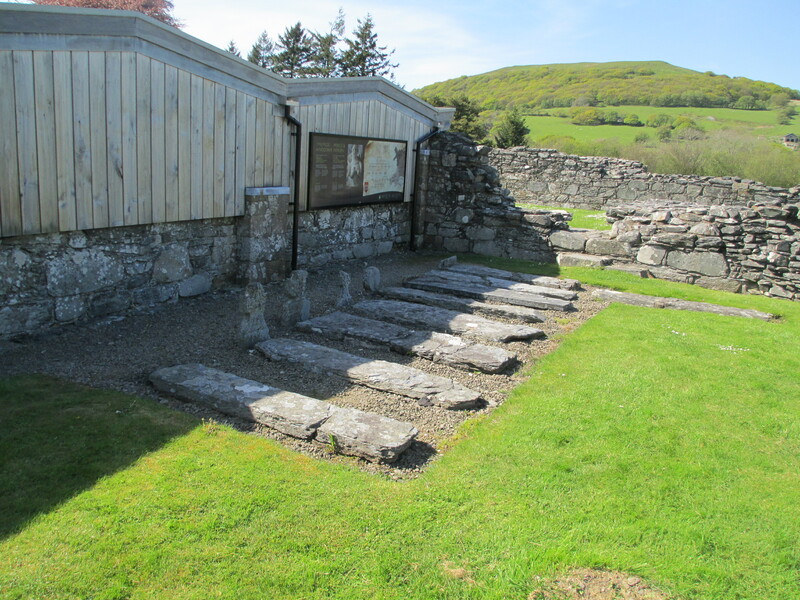 Their discovery helped Strata Florida become a tourist attraction to wealthy Victorians, though it is rumoured that the occasional tile was taken as a souvenir. 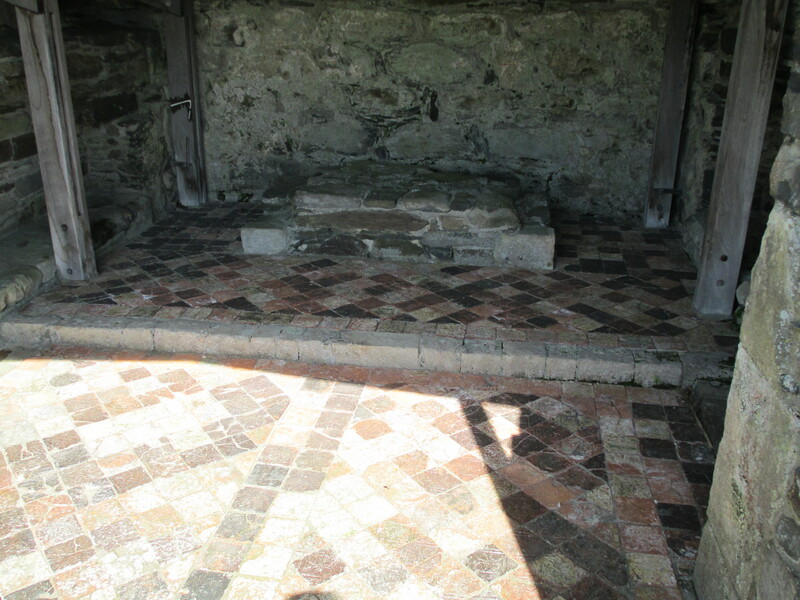 The tiles were made in England but laid in Wales and only important guests and choir monks were allowed to stand on them. They also have patterns and designs. See if you can see any of them. Common symbols include the fleur de lis which is a reminder of the origins of the Abbey. It was founded by the Norman lord Robert FitzStephen. The fleur de lis is also a link back to the Abbey’s mother house in Clairvaux in Burgundy. The tiles are also decorated with images of a man gazing into a mirror, which might be trying to say something about the perils of vanity. One of the more intriguing designs is that of the coat of arms of Hugh Despenser, it can be seen in the top right hand corner of the above photo. He was reviled by the Welsh so the presence of his coat of arms is somewhat perplexing, it is possible that it just happened to be placed there when the tiles were made in England. As you can see the tiles are now covered by a modern roof to protect them. The tiles are truly beautiful and even the relatively small collection that survives today gives a good idea as to just how spectacular the full expanse must have been when the abbey was whole.